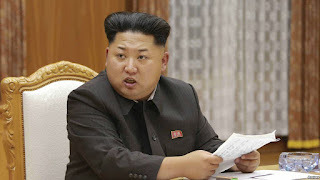 North Korean leader Kim Jong Un has placed his military on high alert and declared a "quasi-state of war" in frontline areas Friday after North and South Korea exchanged artillery fire near the border. 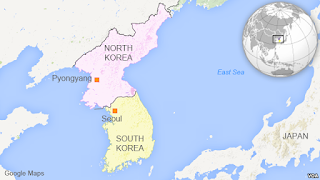 Seoul also has raised its military readiness to its highest level, suggesting imminent threat. Tensions are high on at the DMZ separating North and South Korea. Following an emergency meeting of the North's central military commission, Kim said frontline units would "enter a wartime state" starting at 5 p.m. local time Friday, according to the Korean Central News Agency. Pyongyang has made similar declarations in the past, including during periods of heightened tension in 2010 and 2013. The two countries are technically already in a state of war because the truce that ended their 1950s conflict did not become a peace treaty. In Beijing Friday, North Korea's ambassador to China called a late-afternoon news conference at which he repeated the warning about Saturday's deadline. He said North Korea is a country of action, not words. Kim Jong Un speaks at an emergency meeting of the Workers' Party of Korea (WPK) Central Military Commission in Pyongyang, in this undated photo from North Korea's Korean Central News Agency (KCNA), Aug. 21, 2015. When asked about Beijing's opinion of the escalated tensions, Ambassador Ji Jae Ryong said that was irrelevant. “If the enemy ignores our warning, it is inevitable that there will be action," Ji said. "Our army does not use empty words." Thursday's violence began when North Korea fired shells at South Korean military positions along the western border. The South responded by launching dozens of 155-millimeter artillery rounds at the North. Neither side reported damage or casualties from the shells, most of which appeared to fall along the 4-kilometer-wide demilitarized zone, or DMZ, separating the two Koreas. North-South relations have been particularly strained after Seoul accused Pyongyang of planting landmines that exploded this month near the border, wounding two South Korean soldiers. 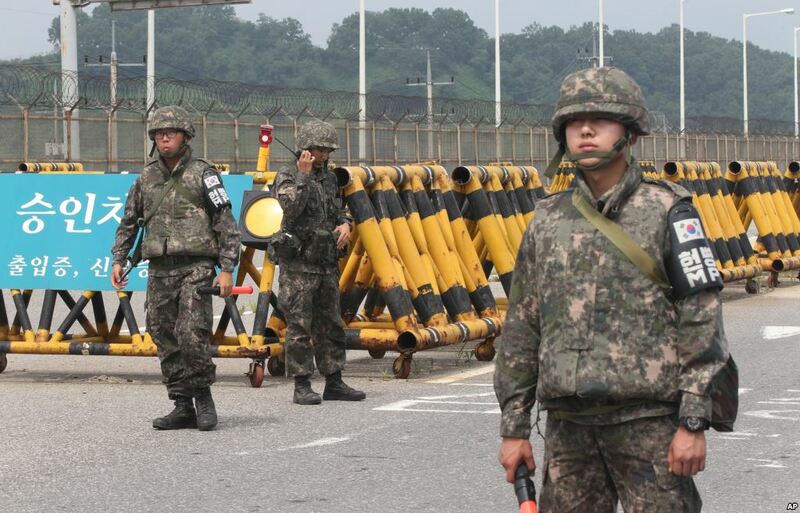 Seoul responded by resuming anti-North propaganda broadcasts via loudspeakers near the border. The exchange of fire was the first between the two Koreas since last October, when North Korean soldiers approached the military border and did not retreat after the South fired warning shots, the South Korean Defense Ministry said at the time. The North's soldiers fired back in an exchange of gunfire that lasted about 10 minutes, with no casualties. The North warned Thursday it would take further military action if the South did not stop the broadcasts within 48 hours. South Korean officials insisted the broadcasts would continue.